- The tournamnet will be at the Pittsburgh Pinball Dojo and will be an IFPA PIN-MASTERS SATELLITE EVENT. -The INITIAL cost for the event is $30. ($5 registration fee, 1 $15 Pin-Golf entry and $10 for 1 DOJO wristband. All items are non-transferable. All payments are non-refundable. If you would like to purchase an additional ticket, all following tickets are $15. Last ticket sold at 4:00pm. NOTE: in buying an additional ticket, you still must be paired up with at least one other player before starting your ticket. - Tie-breakers prior to finals will be as follows..
+ Players on the bubble between divisions will play one TD selected game for score. + Tied players tied within division will be broken by player with the most hole-in-ones. If no players have hole-in-ones then they will rock paper scissors best 2 out of 3. - Games will be played in the order listed on the Scoresheet. Game 1 position selection will be Highest seed, Second Highest Seed, Third Highest Seed, Lowest Seed. - All following games will be Highest Seed, and the the results from the previous game. Top 16 qualify for A, 16 max. Next 16 B eligable players for B. Pin-Golf scoring. Payouts and/or trophies will be awarded and will be determined by the prize pool. Top 4 A and B will receive prizes. 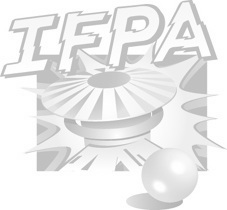 B Division qualifiers are only players ranked over 500 in the IFPA rankings.